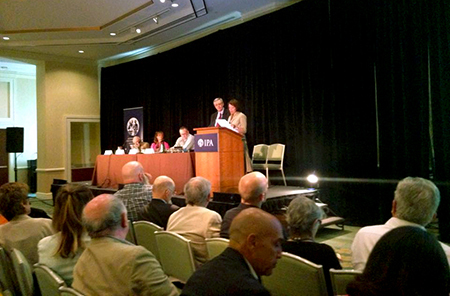 Tokom IPA kongresa u Bostonu, na Business Meeting-u 23. jula 2015. Psihoanalitičko društvo Srbije, jednoglasnom odlukom, dobija potvrdu statusa Provisional Society odobrenog od strane IPA Board-a u septembru 2014. 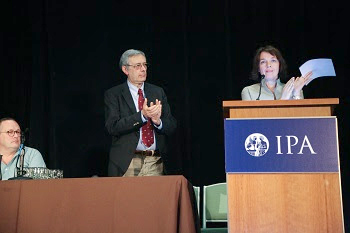 Stefano Bolognini, predsednik IPA i Jasminka Šuljagić, predsednik PDS. Psihonanalitičkom društvi Srbije jednoglasno je potvrđen status “IPA Provisional Society”. It is my great pleasure and honour to be here, with all of you at this moment. 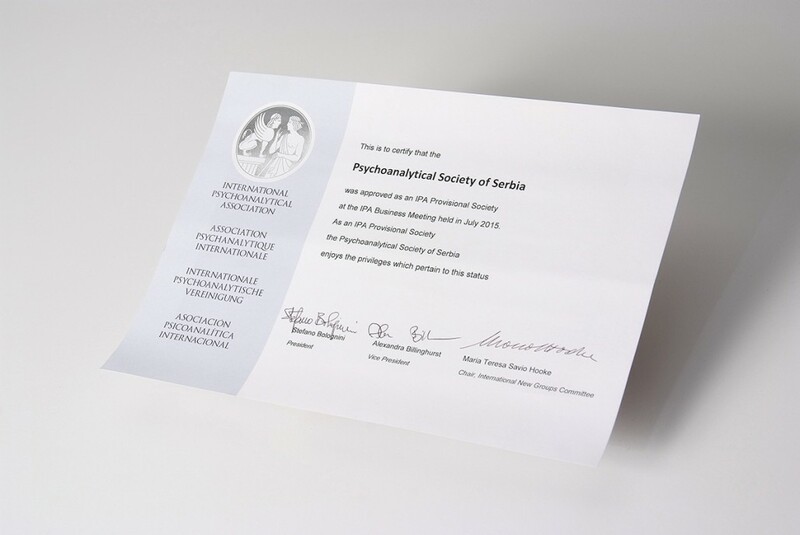 On behalf of the members of the Psychoanalytical Society of Serbia, I want to thank first the analysts from our country, three generations of them, who have been developing the psychoanalytic thought from the 1920s and our first psychoanalytic society in 1938, till today. Especially our deep gratitude is for Tamara Štajner who put enormous enthusiasm and effort, not only for us but for other East European countries as well, to become part of the international psychoanalytic community. 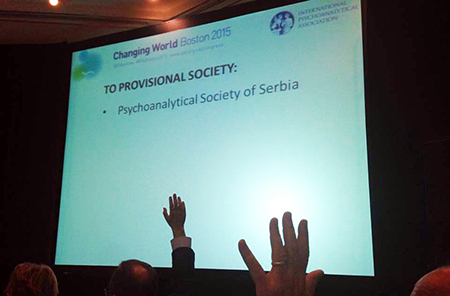 Now we, the members of the Psychoanalytical Society of Serbia, are for the second time at this point of our official development. It is a well known and painful paradox that sometimes the only way to keep and develop what we have already had – is to start anew. Many sincere thanks to all the colleagues who, together with us, recognised that. We have once again, now beyond the couch and in the institutional framework, realised the best traits of analytical thinking, often not without courage. We hope we will continue in this way. Uspešno održana II Letnja škola psihoanalize 49. BITEF 2015.